Yesterday we flew into Beijing. Piper was really excited to be flying on Dragon Air, but she was less pleased when we landed. The smog is truly unbelievable. At the airport, Piper found some friends while I got a local coffee special: Matcha Espresso Fusion! Today was a very busy day. 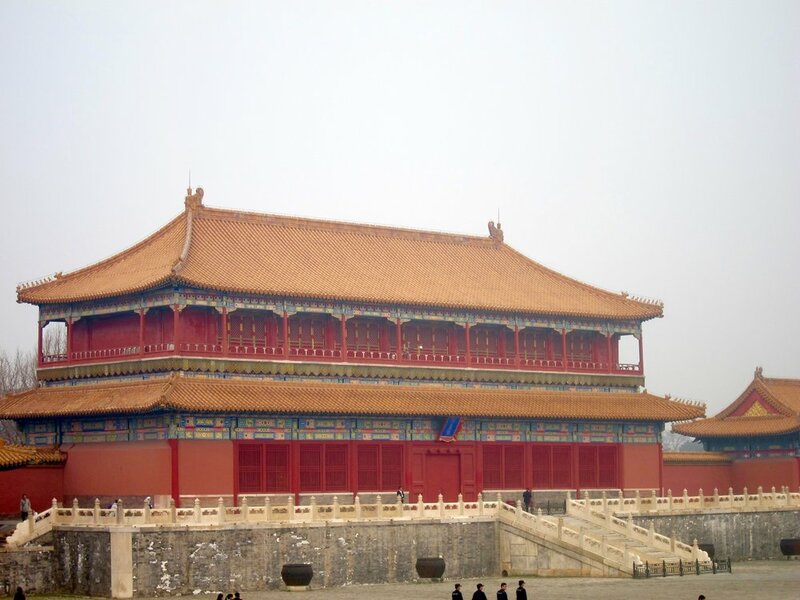 Piper and I went to the Forbidden City. The ornate paintings on the fortress were exquisite. The crowds were also impressive, but we had a great time nonetheless. Around the fortress there's a square waterway with these weeping-willow style trees. If it wasn't for the suffocating smog, it would really be a peaceful place. We also went to the Beijing Dirt Market, which is basically a big flee market for antiques, craft, and art. We bought a selection of beautiful art. In the afternoon we rehearsed and performed in the Beijing Poly Theater and then headed to a Setchuan dinner that was fabulous, thanks mostly to the fact that a bassoonist in the orchestra had lived here years ago and did all the ordering for the table.